Niagara Falls is a name of three water falls situated at the border between Canada and America. The water falls of Horseshoe, American falls and Bridal Veil Falls are located between the province of Ontario and State of New York. Horseshoe fall is mostly situated on the Canadian side of the border while American Falls and Bridal Veil in entirely on American side of the border. The border region is in dispute by both the countries. The waterfalls are located 27km north west of New York and 121km southeast of Toronto and are renowned for their beauty. The waterfalls also provide hydroelectric power to the two countries. The ships can pass through Niagara Falls by way of Well and Canal which was incorporated in the Saint Lawrence Seaway in 1950s. Niagara Falls has been a visiting hub for tourists, artists, travelers, filmmakers and residents of the locality. Until 1870’s the site was restricted to government and sightseeing was not allowed which further led to active moments to free Niagara. Peak visitors occur during day and night in summer. The annual rate of visitors topped 29 million in 2009. 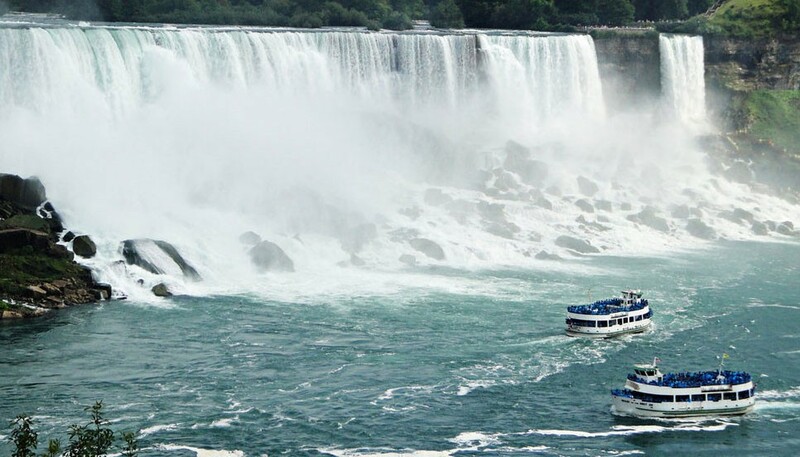 The whole site is a famous tourist hub however the best tourist attraction at Niagara is considered the Maid of the Mist boat cruise, which is named after an Indian mythical creature. Cruise boats operate on both sides of the docks. 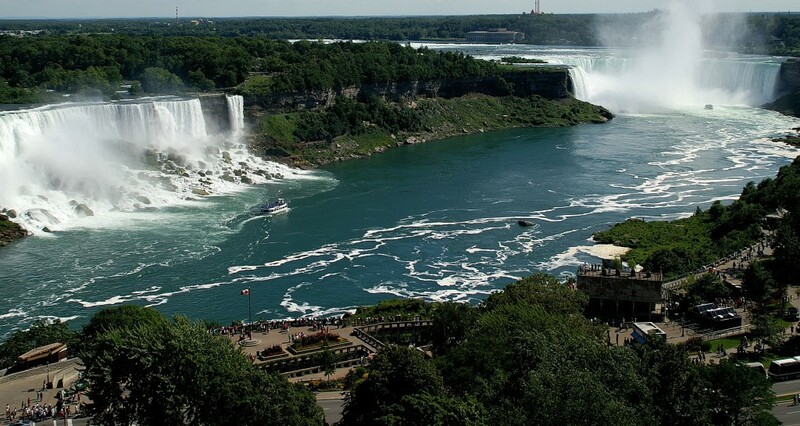 There are two casinos on the Canadian side of the falls that are center of attraction for the tourists. Inspired by the beauty of the falls many writers have written about it in their books. 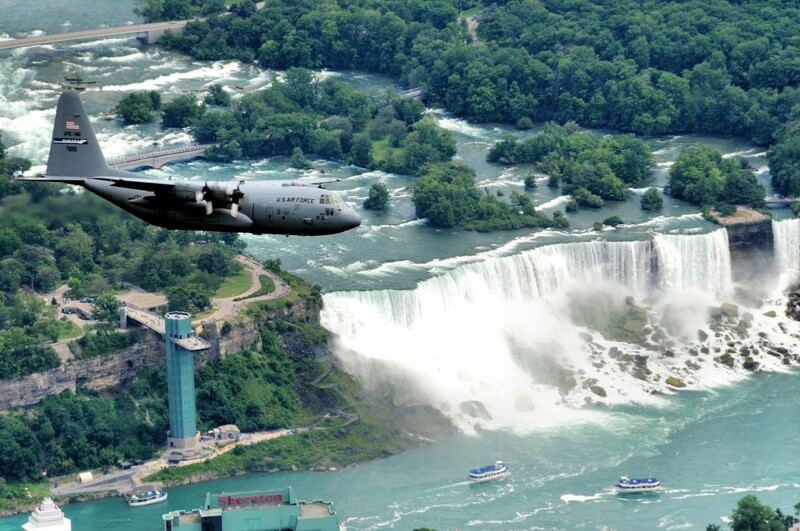 HG Wells used Niagara as a base camp for the German invasion of US in his book “the war in the air”..